Building on the the intensive research of his mentor Maria Thun and the teachings of Rudolf Steiner, Berg explains how the subtle influences from the cosmos work on the plant world, distinguishing between "root", "leaf", "blossom" and "fruit" days in the working calendar. An understanding of such natural processes, in conjunction with the practical knowledge described in this book, can lead to productive, chemical-free gardening, with healthy plants and abundant harvests. PETER BERG, a master gardener of many decades, is an expert in lunar and biodynamic gardening. He runs his own nursery in Binzen, Germany, and is a gardening consultant on German TV channel SWR 3. 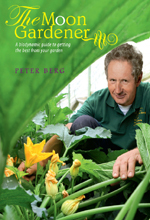 He is the author of numerous articles in gardening magazines.